Has Your Mentor Led You Astray? “My dad taught me how to hunt and for the first 4 to 5 years, I did exactly what he taught me to do – walked a certain way, followed a specific route, did things the same every season with the same results – nothing. I didn’t even see an elk, nothing! Then I realized that even though my dad has done some really amazing things in his life and has taught me more than he will ever realize, hunting elk is just not one of his strengths. He has only gotten one bull elk in his entire life and it was a spike. He was stuck in a rut that wasn’t working and I was right there with him. I decided to start mixing things up. I changed the way I walked and how I moved through the woods. I started learning the animals’ habits. These changes – some successful, some not – led me to more sightings and more interactions, which led to more learning; more and more sightings each year until I actually might have gotten my first bull, but the timing just wasn’t quite right. On the last day of elk season in 2005, my dad and I had just finished our lunch and were looking out the truck window at the downpour outside. My dad said he was staying in the truck. I said, ‘Bag that. I’m not going to get anything sitting in the truck.’ Minutes into the woods, there he was. Boom! My first elk! One of the fundamentals of life is amateurs teach amateurs to be amateurs. You must be careful in your choice of mentors, carefully selecting who you use as your role model. When you are not getting the results you desire, change, try a new approach. Hunting season begins this week. 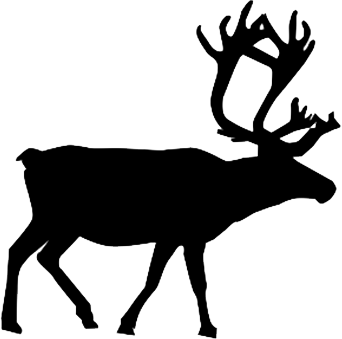 As you seek your elk, think about your mentor and how you may need to change to win, to bag your game!